PicassoBot is the perfect combination of "wow" and learning. It allows kids to solve problems using concepts that they learned in school, but were never allowed to actually use in real situations. 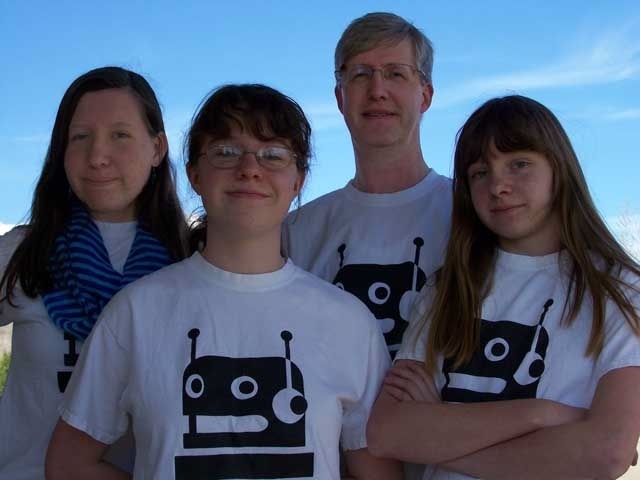 PicassoBot was designed and created to help Junior and Senior High School students learn STEAM (Science, Technology, Engineering, Art, and Mathematics) concepts in a tangible way. price for PicassoBot is only $75 for a limited time! PicassoBot is a kit that contains everything (including the screwdriver) needed to create a robot arm that will draw pictures with a pen or pencil. Building the robot takes one to two hours, allowing kids to get to that "cool" moment quickly in a classroom setting or at home without losing interest. No soldering required! The PicassoBot Simulator (desktop application) is used for drawing pictures on the computer (Mac OSX or Windows) and sending them to the robot. Kids can sketch pictures on the screen and the software translates those mouse strokes into lines and curves which are then converted to angles for the PicassoBot shoulder and elbow servo angles and sent over the USB cable to the robot drawing the creation on the paper. It even includes the capability to use the webcam to take live pictures and draw sketches of them! No batteries are needed as it is powered by the USB cable. Download and follow the instructions to build the PicassoBot, load the firmware, and run the simulator to have the robot sketch your drawings!